...I cannot log into HELM. 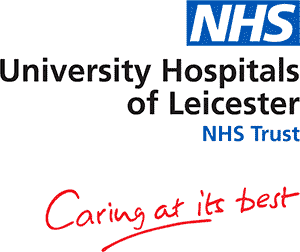 If you are employed by the Trust and have worked for UHL for less than 4 weeks you can create an account, but do not enter your Employee Number or Date of Birth. You will still be able to complete the training required of you and your account will be updated manually. If you are not employed by the Trust, then please continue to use eUHL as normal. ...I don’t know my UHL Employee Number. Please ‘Cut and Paste’ this link “http://insite.xuhl-tr.nhs.uk/static/esr/employee-search.asp” into your address bar on any Trust PC to find your Employee Number. If you need any help with cutting and pasting, please ask a colleague or your line manager for support. ...I don’t have a UHL Email Address. Almost everyone working for the Trust should have one, if you don’t then log in using just your employee number and date of birth. You can use an email address other than your UHL one for emails from HELM once you have logged in. Simply go the My Account to change the email address. For Estates and Facilities staff that do not have email addresses, please contact Claire Abbotts team. ...my Employee Number or Date Birth is not recognised. Register an account, but do not enter your Employee Number or Date of Birth. You will still be able to complete the training required of you and your account will be updated manually. ...my Account shows me in the wrong Department / Team / Staff Group. This data is supplied to HELM directly from ESR and therefore needs to be corrected by the ESR Team. ...I think have more than one account. Your training records will be spread over your accounts and therefore will not report or appear properly. The Core Training Team is working on a fix for people who have created multiple accounts. ...I have already registered but no account is found. If the reason is option 1, please use the email address that you may have used to register for on HELM. If the reason is option 2, please contact the support desk and we will let you know the email that you used. DO NOT CREATE / REGISTER ANOTHER ACCOUNT. Multiple Accounts are creating numerous issues on HELM. ...I cannot see all of my training. The training transferred into HELM from eUHL included all live training data, so courses completed, that are currently valid and that have not expired. Therefore training that had expired, was cancelled or not attended will not have been moved into HELM. ...I have no training in my HELM account. If you can see no training in your HELM Account, and you should have had some transferred from eUHL, or some you have completed on HELM, then please wait for upto 5 days and check again, as we will be continuously updating the system for the first week. If this does not update then please send us a Support Ticket. If you have created more than one account your training will be transferred from eUHL onto the first account you have created. If you think you have created / registered for more than one account, please contact the support desk. ...my Required Training page is showing me the wrong training to complete. If you are seeing training on your Required Training page that you should not be completing then please wait for 24 hours and check again, as we will be continuously updating the system for the first week. If this does not update then please send us a Support Ticket. ...my Required Training page is not upto date with my training. If you have completed training on eUHL (or HELM) and you have a subject in red box that you feel should be green then please wait for 24 hours and check again, as we will be continuously updating the system for the first week. If this does not update then please send us a Support Ticket. We have discovered a slight issue with face to face training being transferred from eUHL to HELM, sometimes if this is updated on eUHL, it is not updated on HELM. This issue should be rectified by the end of September 2017. ...my Required Training Page has changed. We will be adding more Required Training to HELM over the first fortnight after launch to ensure that it is all working and has been transferred accurately from eUHL to HELM, so when you first log in there may be less Required Training than you used to on eUHL, but this will change gradually. PLEASE NOTE: Due to HELMS advanced features and functionality ‘Essential to Job Role Training’ will vary from Staff Group to Staff Group and User to User. Therefore your Required Training page may differ slightly from your colleagues. ...I need to be a Tutor or CMG Administrator, etc. We will be adding access levels to people who have requested these every evening. Therefore if you require admin or tutor access please wait for 24 hours and check again, as we will be continuously updating the system. If this does not update then please send us a Support Ticket. Click the locked icon on the top left of the address bar which shows view site information. Under Site settings, select Flash setting and Allow on this site. Apply your update to site and Reload web page. This should allow the video to play and view the information on the pages. ...the Dashboard and Team Builder Functions? The equivalent of this function on eUHL will be released before the end of October 2017. The equivalent of this function on eUHL will be released before the end of November 2017. All the pages of the module must be viewed, even the Session Summary – introduction, then the small box should be filled in, to show complete (see attachment). This should then let you view the assessments to complete.